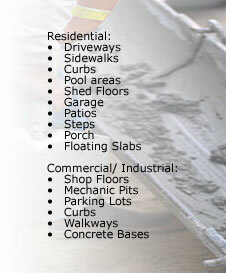 Sarnia Paving Stone Ltd. is a full service concrete contractor in Sarnia and services all of Lambton County and surrounding areas. We are committed to providing our customers with the highest level of workmanship using only top quality materials and keeping up-to-day with the newest technologies and products. Our highly skilled installation experts have installed hundreds of thousands of square feet of concrete for residential, commercial and industrial customers over the years. Sarnia Paving Stone Ltd. would be happy to work with you in any of your home or office concrete projects, as we are fully equipped for many concrete applications.